What are cataracts and how can they be treated? Treatment for cataract requires surgery to remove the cloudy lens within the eye. This cloudy lens is then replaced with a lens implant that helps to focus light clearly upon the retina and allow restoration of sight. Cataract surgery is an outpatient procedure, with surgery usually performed at an ambulatory surgical center. This is typically a rapid procedure, with the patient returning home shortly after surgery. Anesthesia is given locally, usually with what is known as topical anesthesia coupled with IV sedation as necessary to assure comfort for the patient. Phacoemulsification is the most common type of small incision, no-stitch surgery used to remove the cloudy lens. 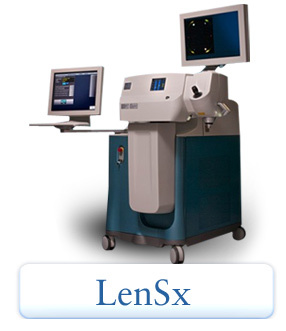 Another new technique for cataract surgery involves the use of the LenSx laser (see News and Updates). This laser uses a computer driven device to create a precise laser incision as well as soften the crystalline lens and allow safe and controlled removal of the cataract. Every patient’s cataract is unique and your doctor will discuss with you which technique will be best for your individual situation. The implant that is used at the time of cataract surgery allows light to be precisely focused upon the retina, allowing the best possible vision after surgery. Special implants are available to correct astigmatism (Toric lenses), focus near and far (Restor lens), or monofocal lenses that provide the best distance or near correction for a patients needs. A lens implant, known as an IOL (intraocular lens), is used to correct vision once the cloudy lens within the eye has been removed. Modern IOL technology gives the ability to correct a patient's vision after surgery so that the need for glasses can be reduced or eliminated postoperatively. Multifocal lenses, known by the brand name of Symfony (Abbott), Symfony toric, and Restor (Alcon) can give a range of vision correction, often permitting vision at all distances from near (reading) to intermediate (computer distance) and driving without glasses. Toric lenses such as the Alcon Toric lens can correct an irregular corneal surface (astigmatism) and allow good distance vision without glasses. Monofocal lenses correct vision at one specific distance, with glasses still typically being required for other focal distances (typically both near and midrange). All patients have specific visual needs as well as eye diseases that help to determine the best implant choice for an individual. 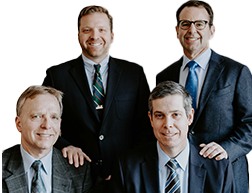 The physicians and staff at the Glaucoma Center of Michigan will be happy to work with you to determine the best surgical option for your cataract lens replacement surgery. Many patients who have glaucoma eventually require cararact surgery. There are ranges of surgical options for addressing both of these problems so that the eye pressure and vision can be improved simultaneously. MIGS (minimally invasive glaucoma surgery) are a group of less invasive glaucoma procedures that are particularly applicable for patients undergoing cataract surgery and allow for the patient to experience the visual improvement that is part of cataract surgery coupled with the opportunity for improved glaucoma control, often with elimination or reduction of medication after surgery. Some patients with mild glaucoma can undergo cataract surgery with no glaucoma treatment being required. Conversely, more advanced glaucoma patients may achieve optimum control with an outflow glaucoma surgery (trabeculectomy or Xen) at the time of their surgery. The proper choice of which glaucoma treatment should be combined with cataract surgery is specific for every patient and will be extensively discussed by our physicians and staff at the Glaucoma Center of Michigan. If you have additional questions, please do not hesitate to call The Glaucoma Center of Michigan at (248) 356-0098.